A police officer was injured in clashes that erupted after fans threw flares and tried to attack players during the so-called derby of the eternal adversaries in Greece – a football match between top clubs Olympiakos and Panathinaikos. The violence started when Panathinaikos supporters threw flares and fireworks at Olympiakos’ president Vagelis Marinakis as he attempted to walk onto the pitch before the start of the game. A group of fans charged then charged the pitch while the team was warming up in a bid to attack the Olympiakos players. 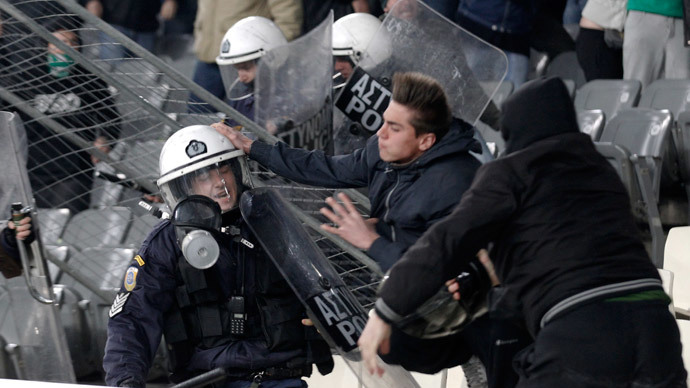 The violence forced the beginning of the 25th round of the Greek championship season to be delayed for 15 minutes. Marinakis was rushed by security personnel to the locker room while police were restoring order. All the players managed to escape the violence via a tunnel. The start of the second half was also delayed, as fireworks hit the shoulder of Olympiakos midfielder Pajtim Kasami. 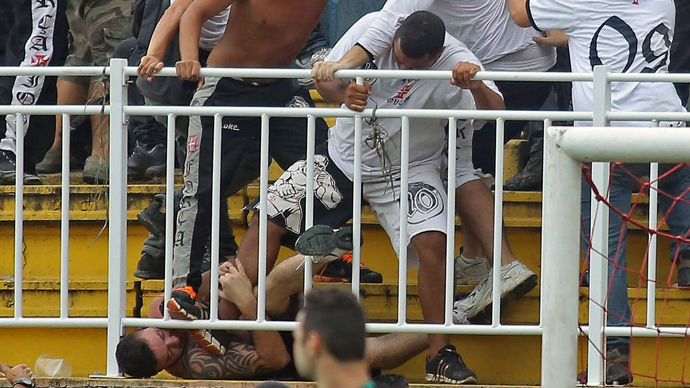 Head coach Vitor Pereira barely escaped injuries after a seat was thrown at him from the stands. 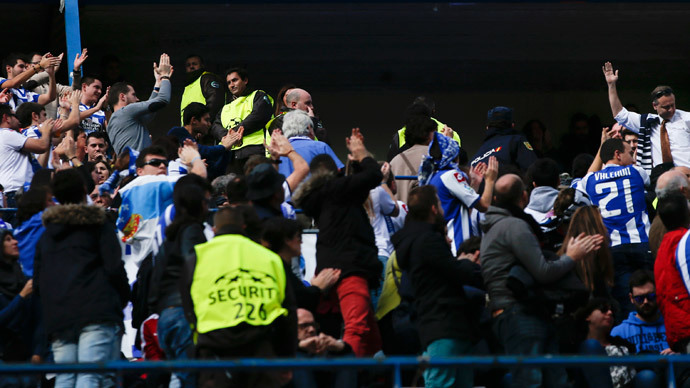 Some 50 fans would later storm the pitch before being quelled by police, who reportedly used tear gas to restore order. 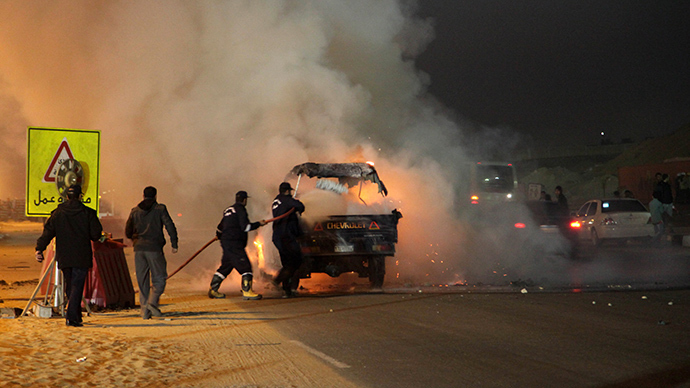 Local media reports that two people were injured in the process, in addition to one police officer.